LOLA the American Bulldog is looking for her FUREVER home!. 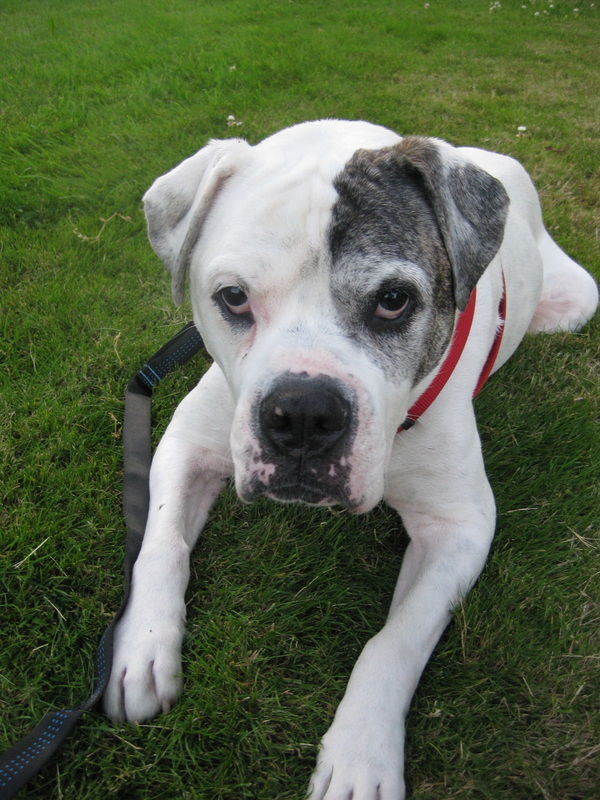 Lola is a 12 year old American Bulldog looking for her forever retirement home. Lola will need a home with no other dogs or cats. She still has lots of energy for a 12 year old and loves go on walks. She loves her toys and well if you don't give her stuff to do she will find something to do herself and you might not agree with what she finds to do. She was returned to the SPCA after a few short weeks. Lola's return had to do with the owner and nothing to do with Lola. Poor Lola!. Yet she is back looking for that perfect home. If you have any questions about Lola please head into the Victoria SPCA and fill out an adoption application and stop by to see her. If you anyone looking for a nice dogs please let them know about Lola. Thanks for spreading the word about Lola!. in her time of need!